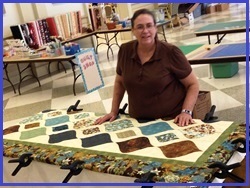 Denton Quilt Guild holds one major overnight retreat and several day retreats a year. 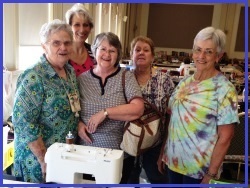 Our major retreats are 3-4 days of sewing amongst friends and often include demos, fabric lottos, daily door prizes, garage sale for quilting items, and make-and-take-it projects. Our 2019 Fall Retreat (overnight) will be held at Lone Oak Retreat & Ranch (loneoakretreat.com), September 19-22. 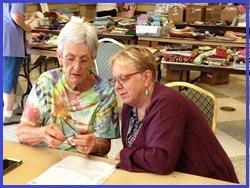 The retreat starts Thursday at 10 AM and ends Sunday at 3 PM. 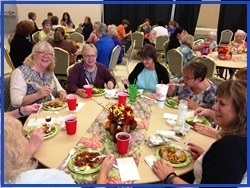 Meals will be provided, starting with Thursday lunch and ending with Sunday brunch. This retreat will sell out quickly as there are only 50 places. 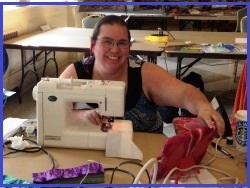 The Retreat Committee will begin taking reservations at the July 2019 guild meeting. Check back later for additional information about the next overnight retreat.